Senior Kenidee Bronner has accumulated about 20 pairs of shoes over the years. 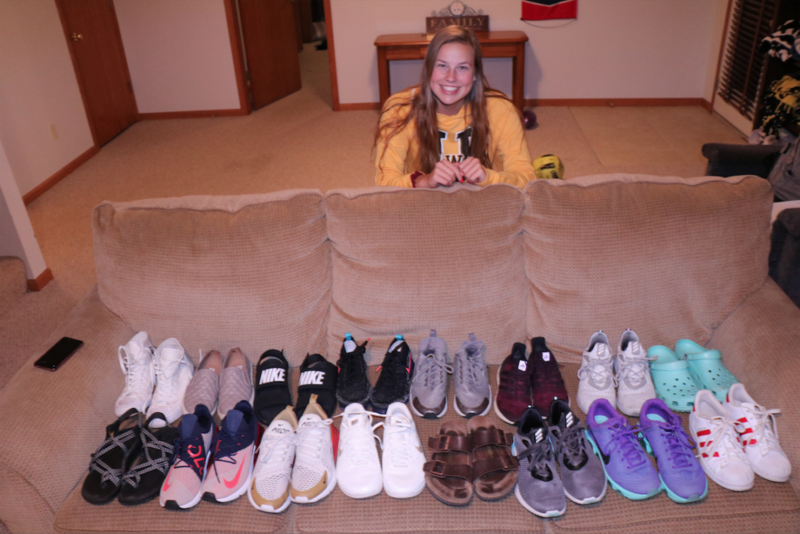 Senior Kenidee Bronner did not intentionally become a sneakerhead, but with a closet that boasts over 20 pairs of shoes, it’s safe to say she has earned that title. “I’ve been collecting shoes since my early years of life,” Bronner said. She has “always had a love for shoes;” however, she never intended for her collection to get as big as it is today. With new styles and different seasons coming out, Bronner said she looks forward to staying on top of her shoe game and adding more trendy sneakers to her wholesome shoe collection.